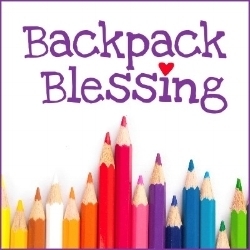 Backpack Blessing ALL MASSES August 25 & 26. We invite all students, teachers and educators to bring their backpacks and themselves for a blessing to start the new school year surrounded in prayer. SPREAD THE WORD and invite your friends! Let’s start the new school year off right!